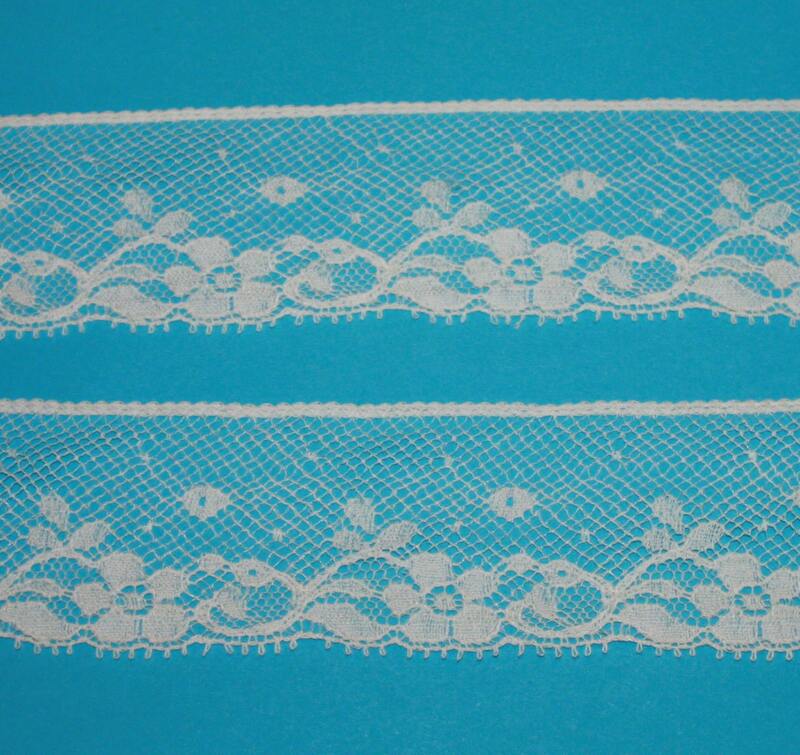 This French Lace measures 1 3/8" in width and is ecru. It is a beautiful addition to an heirloom boy's shirt, suit or little girl's dress. It is sold by the yard. I have additional yardage if you need a larger amount. Just convo me!